​The members of the Association are professionals and scientists who have published articles and scientific papers and books. 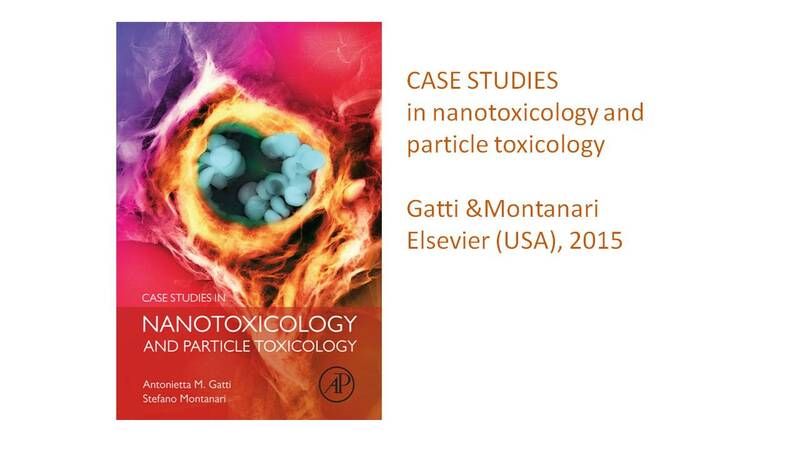 A.M. Gatti, S. Montanari, Risk assessment of micro and nanoparticles and the human health, capitolo di H.S. Nalwa - Handbook of Nanostructured biomaterials and their applications - American Scientific Publisher USA 2005, cap. 12, 347-369. 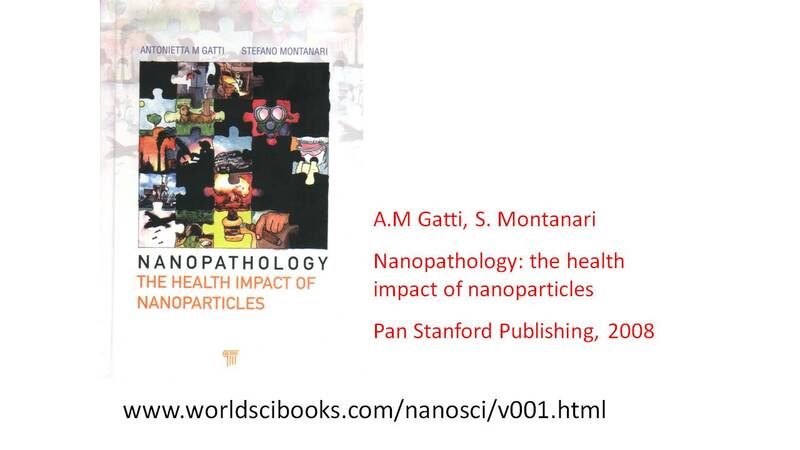 A.M. Gatti, S. Montanari “Nanopathology: The health impact of nanoparticles” Ed. Pan Stanford 2008, 1-212.
. Barbolini, A.M. Gatti, B. Murer, Pleura, Trattato di Istopatologia. Ed. Piccin Nuova Libraria Padova 2006, Cap 8.4 pag 1081-1098 . A.M. Gatti, M. Ballestri, A. Bagni, Granulomatosis associated to porcelain wear debris, American Journal of Dentistry 2002, 15(6): 369-372. A.M. Gatti, M. Ballestri, G. Cappelli Nanoparticles: potential toxins for the organism and the kidney? CRITICAL CARE NEPHROLOGY, 2nd Edition, Basic Physiology, 2007Chapter 235 :. A.M. Gatti, S. Montanari “ Approccio bioingegneristico alla Sindrome dei Balcani” Fisica in Medicina 2004, n.2 , 107-114. A.M. Gatti, S. Montanari, E. Monari, A. Gambarelli, F. Capitani, B. Parisini, Detection of micro and nanosized biocompatible particles in blood. J. of Mat. Sci. Mat in Med. 2004, 15 (4): 469-472. A.M. Gatti Uranio impoverito. Neoplasie e alte temperature. La morte a forma di sfera la Rinascita 2005, Marzo, p.117-24. A.M. Gatti, S. Montanari, Retrieval analysis of clinical explanted vena cava filters J. of Biomedical Materials Research: Part B. 2006, 77B, 307-314, .